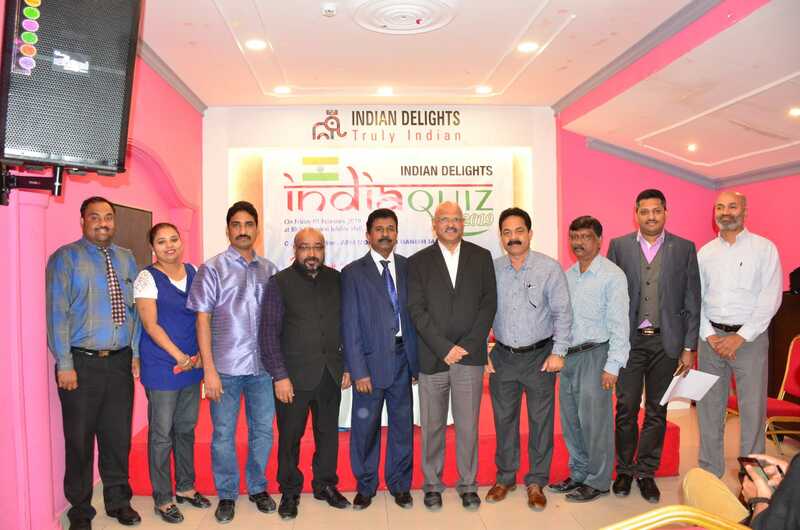 To commemorate the 70th Republic Day of India, Bahrain India Educational and Cultural Forum in Association with Veritas Public Relations and The Bahrain Keraleeya Samajam, is organizing The INDIAN DELIGHTS- INDIA QUIZ 2019. It will be at The Bahrain Keraleeya Samajam Dimond Jubilee Hall, Bahrain on Friday 01st February 2019. 137 teams are registered. Those who wished to participate they can register at the venue. Elimination round will start at 5.30 pm. Participant must report at 4.30 PM. The finals will start at 7.30 pm, Kingdom of Bahrain with Republic day parade. Eminent Quiz master Mr. A.P.M. Mohammed Hanish IAS, a senior Indian Administrative Service Officer will be conducting the show and expected to attract huge crowd to the event. Mr. Hanish IAS a very familiar face to the Quiz Buffs of Bahrain as he was the Quiz master for the previous three editions of the India Quiz. The Chief Guest of INDIA QUIZ 2019 will be Dr. Ebrahim Al Dossary, Chairman IFTDO ( International Federation for Training & Development Organizations ) and Chief Executive Bahrain Society for Training & Development, and Assistant under Secretary for Information & Follow UP HRH The Prime Minister’s Court. The Title Sponsor is Indian Delight Restaurant and Event Sponsor is Matha Advertising and Publicity supported by UAE Exchange and Robos. The Quiz master is Mr. A.P.M. Mohammed Haneesh, a senior Indian Administrative Service Officer. Mr. Mohammed Haneesh IAS, (Managing Director of Kochi Metro) a very familiar face to the Quiz Buffs of Bahrain as he was the Quiz master for the previous two editions of the India Quiz. This unique India quiz competition is open to all Entry Free; More than 200 teams from around Bahrain are expected to participate in the preliminaries of the 10th India Quiz. This unique India quiz competition is open to all Entry Free; More than 200 teams from around Bahrain are expected to participate in the preliminaries of the 10th India Quiz. Each team will have 3 members, with one adult and one student (under age 18) and the third member can be an adult or student. The Quiz will cover any subject related to INDIA, so as to enable the participants to learn and appreciate their mother land. Second prize will consist of 3 individual trophies, certificates, and cash. Third prize will consist of 3 individual trophies, certificates, and a cash prize. Participation Certificate will be issued to all the participants signed by Mr. Mohammed Hanish I.A.S, will be giving on the same day. BIECF President Mr. Sovichen Chennattusserry, Event General Convener Pavithran Nileshwaram, Executive Members Mr. Devraj, Mr. Ajith Kumar, Mr. Aji P Joy, Mr. Anoop, Program convener Mr. Kamaludheen, Event coordinator Mrs,Babina, BIECF Media Coordinator Mr. Sunil Thomas Ranny were attended the press meet @ Indian Delights .